ProLine recognizes the specific areas in which you can enhance your business by utilizing our products and services. By working with ProLine, you’ll have access to industry leading radiant heat solutions at discounted prices, which will expand your capabilities as a professional builder and dramatically increase your business opportunities to generate more revenue. Call 866.676.9275 to learn more. Construction professionals don't need to be radiant heat experts to offer radiant solutions to customers. Our electrical experts and design engineers will guide you every step of the way during the selling and installation process. ProLine will design and engineer the system, so you'll have a professional CAD that addresses all the electrical and layout issues of your project. We understand the importance of having a good reputation, which is why our experts will work closely with you to provide all the tools you need to succeed. In addition to personal support, you'll receive professional documentation that has been personalized with your company's information, which you can pass on to your customers so that they see you as the complete solutions provider. 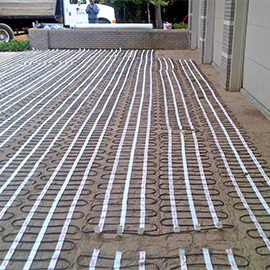 By utilizing ProLine, you will be viewed as the complete provider of radiant heat solutions. 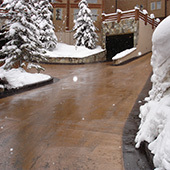 And by offering snow melting, roof deicing and floor heating solutions, you'll expand your capabilities and dramatically increase your earning potential. ProLine Radiant has experience designing systems for all types of commercial, industrial and residential applications. 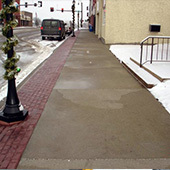 Our snow melting systems can be easily customized and installed in a variety of mediums, including concrete, hot asphalt and under pavers. 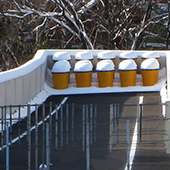 ProLine also offers industry leading roof deicing solutions and floor heating systems. In addition to providing the industry's most proven, trusted products, we take pride in offering unmatched customer service. And your customers have a wide range of radiant heating options to choose from. ProLine with work closely with you throughout the process and include expert installation support services during the install to ensure that the system is installed and performing as expected. ProLine is committed to your success. Our goal is to offer the best radiant solutions in the industry and professionals to help with all aspects, making the sale and installation as smooth as possible. We want to become your radiant heat consulting partner by providing the best customer services in the industry. These services include free training, professional system design services, installation support, with unmatched customer support during all phases of the purchase and installation process. By offering a variety of radiant heat solutions to meet all your customers’ needs, you’ll capture new business and never have to say “no” to a job again. Distinguish your company from the competition by offering unique products and solutions. Increase revenue by utilizing ProLine's product discounts and installation. 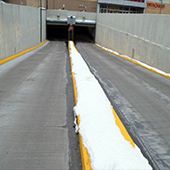 Fully automated, maintenance free snow and ice melt solutions reduce liability for slips and falls. Heated floors provide luxurious warmth, are cost effective and safe. No dust or allergens are blown through the home or office. Perfect for bathrooms, small areas, areas with vaulted ceilings and basements. 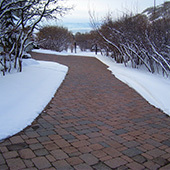 Radiant heated driveways and floors are environmentally friendly. No obstructions from duct work. 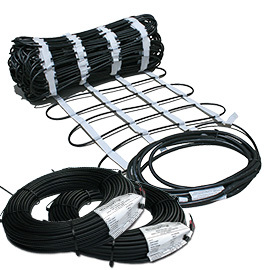 Electric radiant heat systems are easy to customize and install. These systems offer a variety of attractive benefits to consumers. 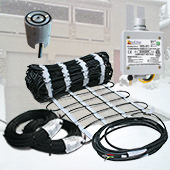 Electric radiant heat systems are easy to customize and install. Extremely energy efficient, electric radiant heat systems operate silently and are maintenance free. ProLine provides personal installation support. As a contractor, you can do more jobs and enjoy greater profit margins. Professional System Design – ProLine will design each project for you. All you do is sell it. ProLine assists you and your customers with all aspects of the project, from sales and system design to installation training and support. Minimal structural changes are needed for radiant heat installations. Radiant heat systems are environmentally friendly (green appeal). By completing our free training and signing up as one of our Preferred Installers, we can refer future business to you. "These days, good customer service is rare, and great customer service is almost nonexistent. ProLine's falls in the "great" category. 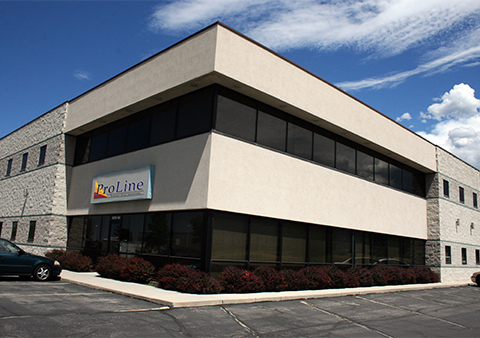 For a new customer with limited experience in outdoor heating, ProLine's support was crucial. Having a video web chat with Tech Support, and looking at the schematic of the job before we began, was one of the reasons for the project’s success. But the step-by-step instruction was only a part of the support that ProLine provided. Throughout the process, they were always in touch. They seemed to anticipate our needs and fulfill them before we even knew what they were ourselves. As a landscape designer, I have dealt with all sorts of people on all sorts of projects, and the service and support that we experienced from ProLine was among the best. It was a breath of fresh air, and I look forward to hopefully doing a lot of business with them in the future."